Perhaps one of the lesser-known of Steinbeck’s works, The Pearl still exhibits his concise and emotionally-powerful storytelling. More along the length of Of Mice and Men than The Grapes of Wrath, Steinbeck doesn’t waste much time arriving at the central conflict of The Pearl, using realistic characters and settings to weave his story. Some might find the characters in this story to be mere stereotypes, but I would almost argue that they’re the archetypes that have aided good storytelling for centuries. The fact that people today could easily find themselves in similar situations merely speaks to the timeless nature of the story itself. Somewhat of a deviation from the depression-era settings of some of his previous works, Steinbeck uses the natural beauty of the island setting to contrast the ugliness present in the hearts of its inhabitants. Granted, the antagonists of the story are the inherently-greedy colonialists who are trying to take advantage of the indigenous population, but even a treasure as highly valued as the eponymous pearl can turn an islander’s mind to thoughts of evil. The Pearl is undoubtedly a story about the evils of materialism and wealth, even if a significant amount of money could make a poor person’s problems disappear. There is palpable tension in the plot of The Pearl, especially as the story progresses toward its heartbreaking ending. The fact that Steinbeck can do so much with so few words merely speaks to his genius that has stood the test of time. If you were forced to read any of Steinbeck’s works for school and were turned off by having to analyze his prose to death, I would suggest you give his writing another try with this story. Even if you don’t like The Pearl, at least you didn’t spend much time reading it. 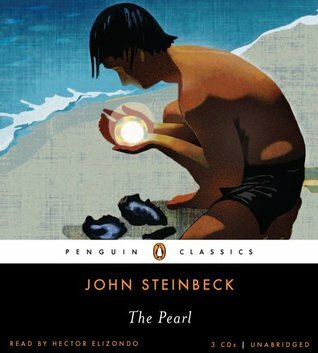 A tight and expertly-written Steinbeck story, I give The Pearl 5.0 stars out of 5.